Hop in there with dough, I got places to go! I looked at my cotty, are ya out of control? Hotter than Cajun, girl won't you move a lil' closer? Like, "Damn it, I know you"
awesome song.. i love FLO-RIDA..! i loved LOW, n now dis, its spinning my head all round..!! Hangover movie was superb n an excellent end to it by playing dis song..! omg my teacher plays this song everyday in eng! also in ss when she the chance i ask her to play it everydsy i LOVE IT!!!!!!! I Luv this song! 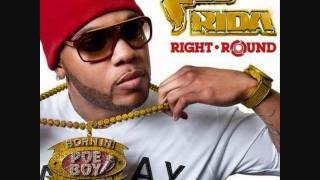 Flo' Rida is totally awesome! I'm a big fan of his. I also like this song @ the end of the movie The Hangover. WHOO HOO!!! People actuallly got these lyrics right!!! havin a karaoke party and this song is definetly goin on the list...congratz flo-rida!!! !